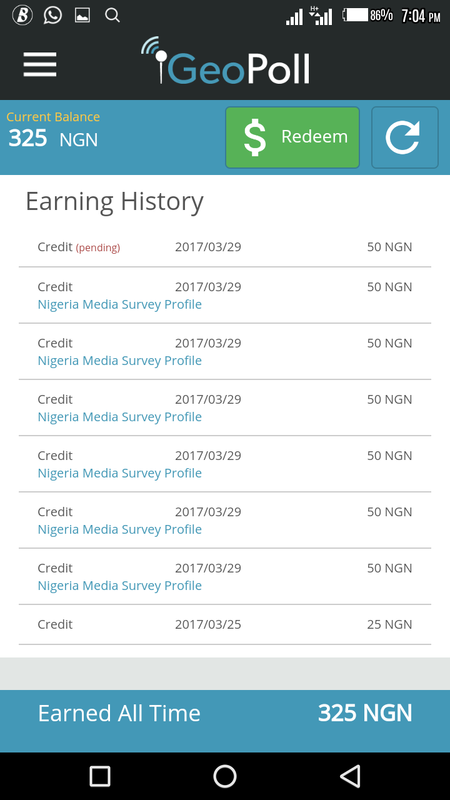 Hello Everyone Today i want To Quickly Show an App That Will Let You Earn Free Airtime On Your Android Phone When You Complete Survey. 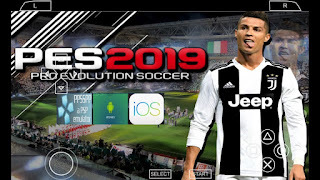 This App Is Very Easy To Use. 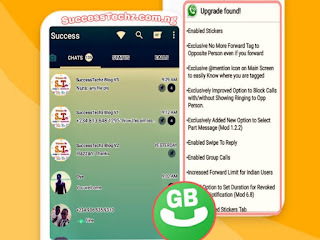 And Its Very Easy to Earn Free Airtime On Your Android Or Smartphone Device. 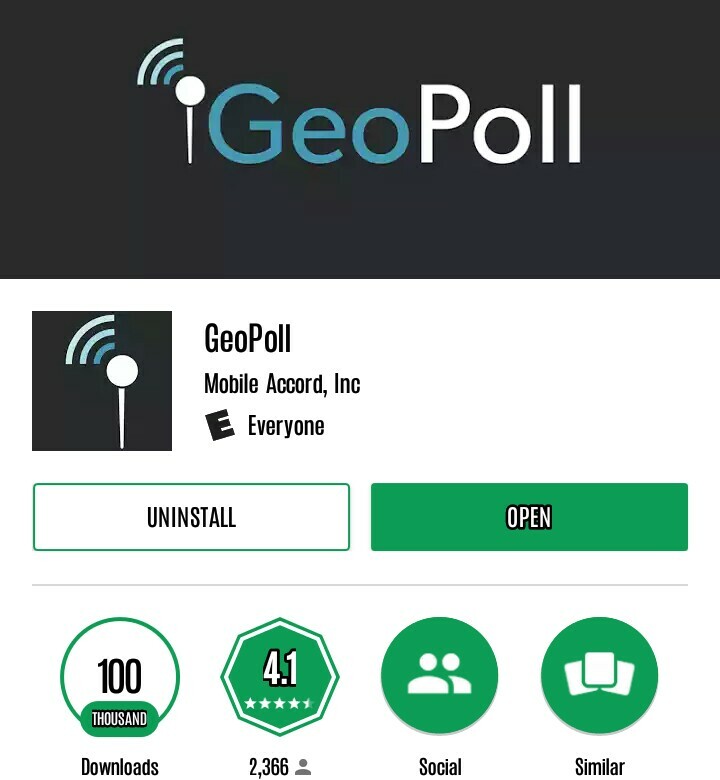 With This App Called GeoPoll. 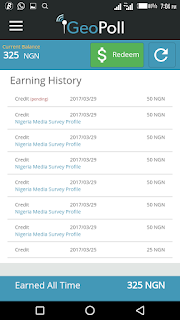 Have Earn Up to N500 Today. When I Completed Some Few Survey On My Android Phone. 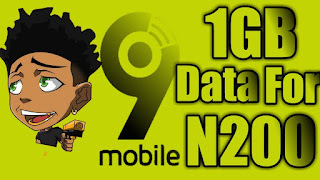 Without Taking Too Much Time Let Me Quickly Show You How To Earn Free airtime On This App. 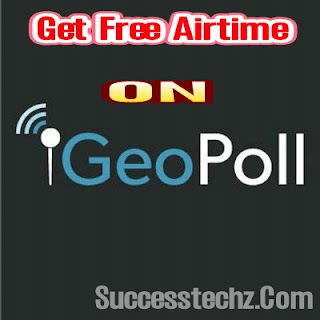 How Can I Earn Free Airtime With GeoPoll App? Step 3.. After Registration Is Completed.. Kindly Click On Survey Icon And Complete Their Offer. Once You Are Through With The Survey You Will Earn N25 naira Instantly.. Step 4..Once You Earn N25 naira On This App. Don't Worry Just wait For Some Few hours And always Open The App Daily.The App Will Always Updates You With 10 New Survey When Available. 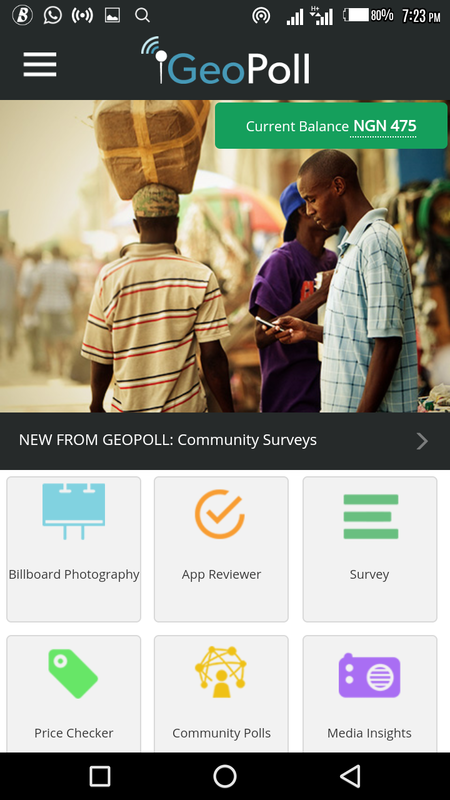 You will See a Red Star On The Survey Icon. 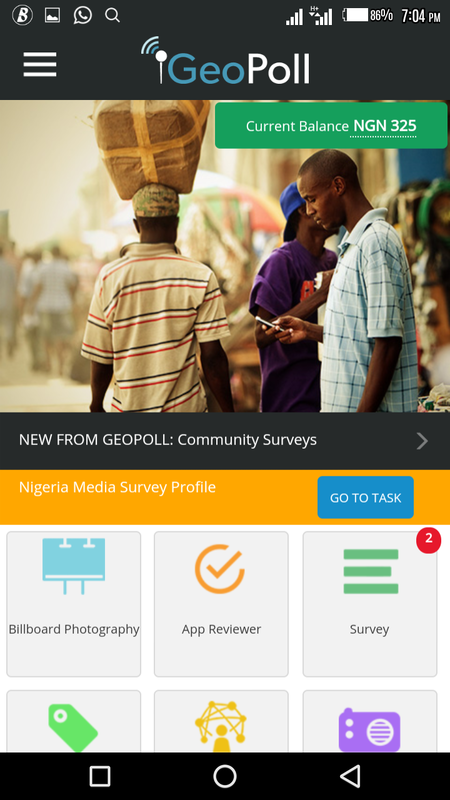 Which Means You Have New Free Survey To Complete.On Each Survey You Will Now Earn N50. Just Answer Any Questions On This Survey Whether It's Correct Or Not. You Will Earned Your Free Airtime Instantly. You Can Also Redeem Your Airtime With Your Phone Number. 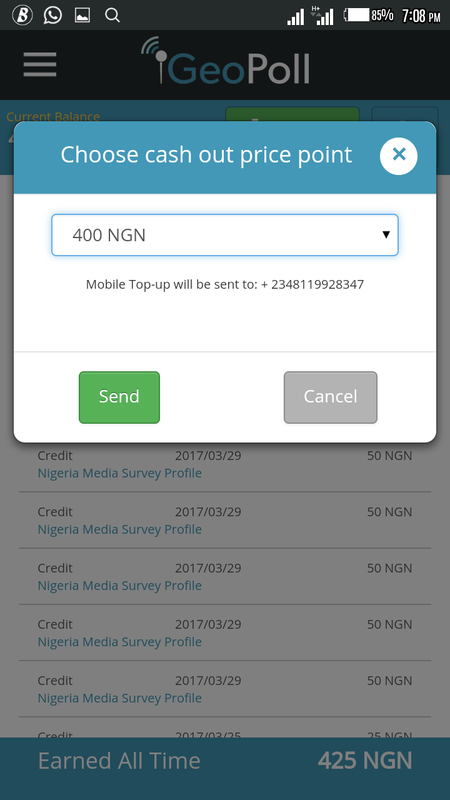 To Redeem Your Airtime Kindly Click On Current Balance at The Top Of The App.Then Click On Redeem, And Choose any Amount You Want To Redeem To Your Phone. I hope You Can See The Screenshot Above. 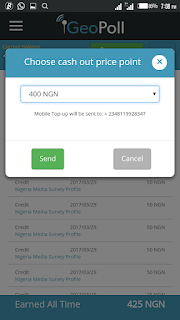 Kindly choose The amount and Then Click Send.Your Money Will Be Send To You Immediately. 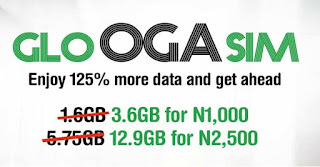 You Can Also Use This Free Airtime To Purchase A Data plan on Your Phone. Naira.com is also a good one..keep it up success!! !